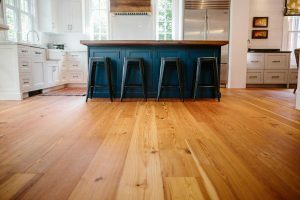 For this month’s Inspirations newsletter, we are proud to share with you two spaces that feature our Antique Oak and Antique Heart Pine flooring. 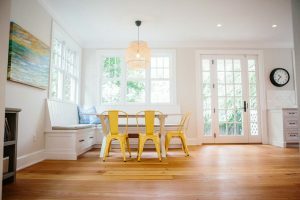 These two projects showcase not only the quality and uniqueness of our products but also our product’s ability to add warmth and character to both residential and commercial spaces. 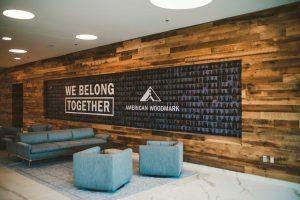 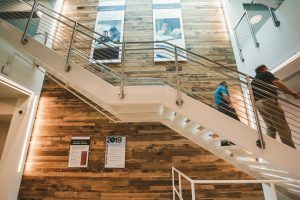 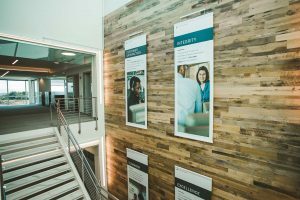 Our Antique Oak Distressed flooring was used throughout the recent renovation of American Woodmark’s corporate office in Winchester, VA. Used on several walls throughout the lobby and reception area, the reclaimed wood gives depth and contrast to the open concept space. 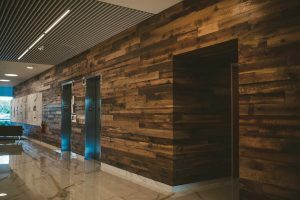 We like to think it also makes coming to work a bit easier! 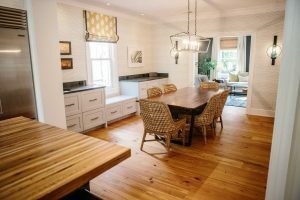 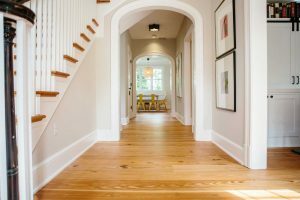 When our friends at Finn Construction Company, Inc. took on the tedious task of renovating a 1930s brick bungalow in Alexandria, VA, they turned to Cochran’s Lumber for period-appropriate flooring. 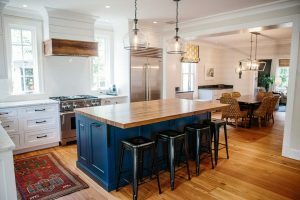 The results are a stunning open concept space that embraces both the home’s history with our wide-plank Heart Pine flooring and its functionality with our gorgeous Antique Oak butcher block countertop.